Several centres from the Spanish Supercomputing Network organise open days and other dissemination activities in the context of the Science Week 2018, from November 5 to November 18. The Science Week is an annual national initiative and this year edition will be held from November 5 to November 18. During these days, research institutions and universities will organise dissemination activities, guided visits, open days, workshops and conferences, with the objective of engaging society and increase the awareness of citizens about the importance of research and innovation. 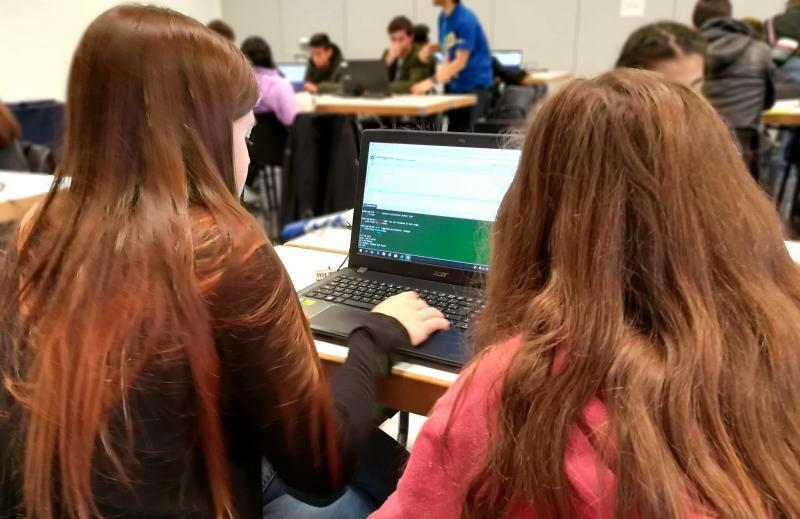 Five centres of the Spanish Supercomputing Network have joined this initiative and organise guided visits, talks and other dissemination activities, which are free of charge and are addressed to the general public or school groups. - IFCA (Santander): the Institute of Physics of Cantabria organise during the Science Week schools visits, two talks with José Luis Crespo (creator of the YouTube channel Quantum Fracture), an Astronomy observing session and a live broadcast of TEDxCERN talks. - COMPUTAEX (Cáceres): the Fundación Computación y Tecnologías Avanzadas de Extremadura will offer a talk to disseminate the social benefits of supercomputing technologies and the most interesting projects of the centre. After the talk, the participants will be able to visit the Data Processing Centre, which hosts the supercomputers LUSITANIA and LUSITANIA II. - CSUC (Barcelona): the Consorci de Serveis Universitaris de Catalunya will offer guided visits to its infrastructure from November 12 to November 16. The attendees will be able to learn about the advanced communication technologies, the supercomputers and the research projects that are carried out in the centre. - SCAYLE (León): the Fundación Centro de Supercomputación de Castilla y León organise guided visits from 12 to 16 of November. These visits are one-hour long and include an introductory talk about supercomputing technologies and its applications, followed by a visit to FCSCL facilities hosting the Calendula supercomputer. - IAC (Tenerife): the Instituto de Astrofísica de Canarias participates in the Science and Innovation Weeks of the Canary Islands organising several activities in the Science and Cosmos Museum, like dissemination talks, documentaries and humour monologues. The IAC also participates in the Tenerife Mini-fair.